Sandra Polanía-Reyes is a visiting assistant professor of economics at the Keough School of Global Affairs at the University of Notre Dame. She holds a Ph.D. in economics from University College London and a Ph.D. in political economy from the University of Siena. 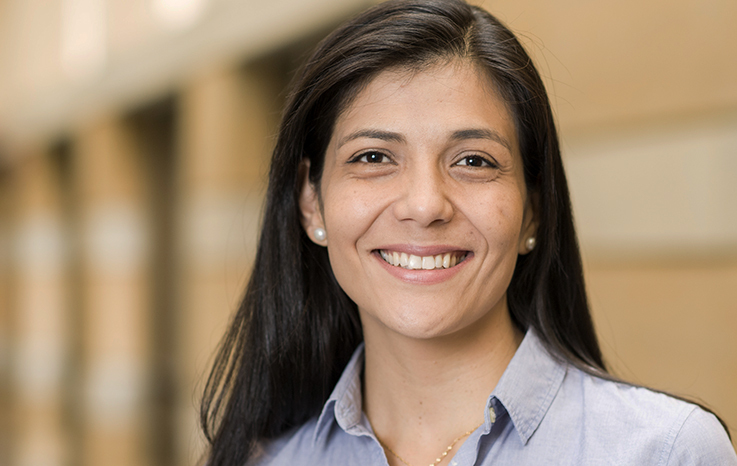 Polanía-Reyes is an experimental economist working at the intersection of development and behavioral economics. Her research comprises the design and evaluation of effective behavioral policy interventions in developing countries. She has conducted large-scale laboratory economic experiments in the field to study the role of prosocial behavior in overcoming collective action problems and promoting the common good. Her previous work uncovers evidence of positive effects of conditional cash transfers programs on cooperation, coordination, and risk-pooling, which informs policy makers along the social implications of the given intervention. It also shows how civic leaders -even without perfect monitoring- are able to signal the right social norm or cue for behavior when the community faces a social dilemma. Polanía-Reyes’ current research takes four directions: i) identifying social preferences in common pool resource settings; ii) evaluating the impact of a behavioral intervention to promote teamwork within an organization; iii) understanding civil servant bias when providing services to the poor; and, iv) examining the role of the Catholic Church and civic leaders in collective action towards extractive industries in the Colombia post-conflict. Prior to joining the Keough School, Polanía-Reyes was an assistant professor in economics at Pontificia Universidad Javeriana in Bogotá, Colombia, a research associate at Corpovisionarios (a Colombian think tank on social innovation), a visiting fellow at the Kellogg Institute of International Studies, and a postdoctoral fellow at the Center for Ethics and Culture. Over the last 14 years, Polanía-Reyes has engaged with communities in Argentina, Colombia, Costa Rica, Italy, Peru, United Kingdom, United States, Uruguay, and Venezuela. Her academic work has been published in the Journal of Economic Literature and the Journal of Economic Behavior and Organization, among other journals and books. She teaches the undergraduate and graduate courses Economics of Collective Action, Microeconomics, Sustainable Development, Experimental Economics, and Behavioral Development Economics.